Hi. Trust you’ve been good and in charge since your last visit here. First, my apologies for some wrong statistics on the last post; blogger misled me x_x The actual number of published posts on here is 46 – but we’re close to the starting line. This is the #47 after #49 – and today’s post is about friendship. It was that time of the day when sugar levels took a dive. Virtually everything had to be said twice to register in my head. While I tried to focus on work, my five senses indulged in a game of hide and seek. I could swear my screen was dancing to its own rendition of ‘gangnam style’ too. Whatever the case, it was a well-documented malady. There was only one antidote: lunch – urgent, heavy, lunch! So, fast as my feet would allow, I set sail – thinking up possibilities and mixtures. Any other day, I would have insisted on ‘the usual’ – but today was different. The hunger-cheque expectedly had a few extra digits. That’s what you get for skipping dinner, and breakfast – and the many things you could have eaten in your sleep to make up the deficit! All I could do now was walk. Sadly, the faster I did, the more the hunger seemed to grow. Eventually, though, I found the perfect balance: the point where walk embraced sprint. That brought some relief to my imploding stomach. The joint came into view as a huge ball of spit crashed to the bottom of my stomach. Pure bliss. But, then, just as I was to enter the theatre of (immediate) dreams, it happened! I hadn’t forgotten my wallet – and my phones hadn’t rung. In fact, I had taken care to ensure none of those would be a problem. There was extra cash in the emergency pocket – and the phones had been turned off. So, what exactly happened? As I approached the entrance, my straying eyes caught a face. It seemed familiar – but chit-chatting was nowhere near my present priority. Initial instinctive reaction was the self-centered one: Ignore all else. Buy as much food as you can afford. Eat until you’ll need a wheelbarrow to get back to the office! Yet for some reason, I found my feet heading in the direction of that face. It lit up as soon as it recognized me; the noise that followed, a statutory requirement! He was a long-lost friend. It was quite a challenge shaking and bro-hugging someone who’s belt-line was around my shoulder – but we smiled through it. We had been contemporaries eight years ago as we both tried to make it into university. It was now his second attempt at post-uni education, after a freak bike accident forced him to pull out two years back. Lots of missing details filled in as we headed for the shortest food-queue. Still, it’s what happened at the end of it that struck me the most. It was logical to stay back and let ‘the suit’ handle the bills – at least that’s what I expected. But, no; my friend wasn’t having any of that! In fact, his insistence and my counter-insistence caused a scene – but it was all in good humour. By the end of the ‘session’, we had reached a consensus. Since he forcefully paid for the food, the drinks were on me. Win-Win, lots of cheer, smiles and banter. The glow in his eyes said it all; in a world where it’s easy to get weighed down by sobering peculiarities, he was glad to have run into a friend. I couldn’t see my eyes – but I bet they had the same glow. I hadn’t even thought to check the time while he was around. Obviously, I had over-shot my allocation – but I couldn’t be bothered. Some moments should never be rushed! Typically, I had a moment to ponder before I got back my desk and the following mysteries of friendship brightened the rest of my day, week – and, maybe even life! Surreal Cheer: Whether it’s mischief, catching up on old times or going over genuine fears and worries, there’s something simply magical about being around friends. The lunch was supposed to be a life-saver – but it ended up feeling like a distraction as soon as my friend showed up. That logic, I may never understand! Assurance of Equality: Crisp dressing will get you far in the corporate world – but, around friends, it doesn’t really matter who’s got the suit. There just always seems to be this ‘give-n-take’ chemistry, with everyone naturally tending towards the former. We view each other as equals – regardless of contrasting physical evidence. Reality Warp: One common feature as we parted ways was the glow in our eyes. In that moment, it didn’t matter that life had (arguably) been unfair to him. I forgot to worry about the strictness of my imposed lunch-time. It didn’t count for much that he was back to fight in the same arena he should have conquered years ago. In that moment, reality fetched a duvet and took a snooze. The only thing that mattered was being around each other. It was as soothing as it was needed. Imagine that every moment of our lives felt that way. It wouldn’t necessarily take away the occasional pains we feel. It’ll just open our eyes to the fact that life’s true purpose is found in the things we give/share/achieve in spite of our pains. Truly, we’re no better than the friends we keep! It is on this premise – and with this post – that we, today, launch the Friends of #DeMeStified page. Whether we call it a memoir, dossier or memento, one thing is true: this blog could NEVER have been the same without you. You guys have been light for the gloom and spice to the bland! The fact that many of us have NEVER met in person takes nothing away from the chemistry. Thank you. Of course, the comments feature is open below. I’ll appreciate your sharing how certain friendships have made you better. This entry was posted in Food, Friends, Friendship, Gangnam style, Sharing. Bookmark the permalink. ''life’s true purpose is found in the things we give/share/achieve in spite of our pains''This is so true. I realised that it doesnt necessarily have to be your ''friend'' but the feeling you get when you share/give/achieve something even to a total stranger can change your life. who would have thought that a single smile would have made me make a life changing decision because the smile i saw, i had never seen in my life and it changed my world. that moment i made a decision to try my best to always bring that kind of smile to the face of people. strangers or friends.I have had some particular friendships that have made me better in my life ranging from this people that have listened to me and paid extra attention to things that concern me, the smiles, the words, the tears. The world is sure a better place with our real friends in it. Nothing as good as a familiar face after a long time. hmm.. what to say… Blessed to have you as a friend not just by words, but by those acts that continually portray you to be a FRIEND in the midst of friends… BLESS YOU BRO! Brilliant piece….exceptional work of art. Great piece in celebration of friends and friendship, one of the wonders of the world.I really love how you craft words and believe that you belong to the class of people that Tolu Ogunlesi would call "con man of words." Reading this was like reading prose. Methinks you owe us a novel. Ehyaa. Thanx, Myne. Really sorry for the time away! You've been good? Thanx a lot, Mc Zippee. Darn glad to see you here! Ahww. Thanx, papi! Really glad you dropped by. How's it going at that end? Yes oh, Ema. Very right about that. Trust you're doing great? And the hubby? Thanx for stopping by! Gratitude is truly our best response to the mystery of friendship. Thanks a lot, Kay! Wowz. This is truly immense. We should never underestimate the power of the "little things". Thanx for the addition. In fact, I think it's more rewarding to give to (and share with) strangers – people from whom we expect nothing! God give you strength to keep at it!Thanx for being the first – AGAIN! Ehyaa. Thanx so very much, Seun! I'm only the master's favourite dustbin. I'm sure all debts will be settled in due course. Lolz. Thanx a lot, bro! Fine Sir, This is beautiful. Glad U are my friend. Thank you, Dennis! I'm honoured by your friendship. Really nice post Imisi. I happened upon your blog recently and my-o-my, the depth of thought shines through every post. 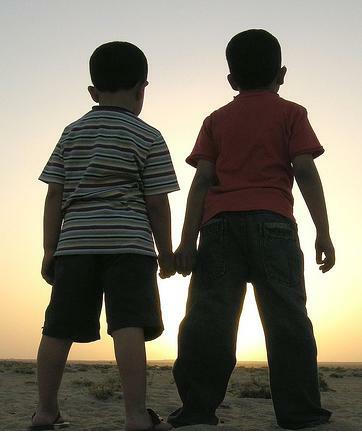 True Friendship is more like a bond between souls. And can be a life-saver when the chips are down. Wow. Really glad you dropped by, Boye. Your words are inspiring. God bless! Ehyaa. Don’t make somebody cry…. Maybe because visuals will convince you otherwise? Or, because now is your turn to wow that world?